What’s a Hip-Hop Mural Doing Outside a Michelin-Starred Restaurant? 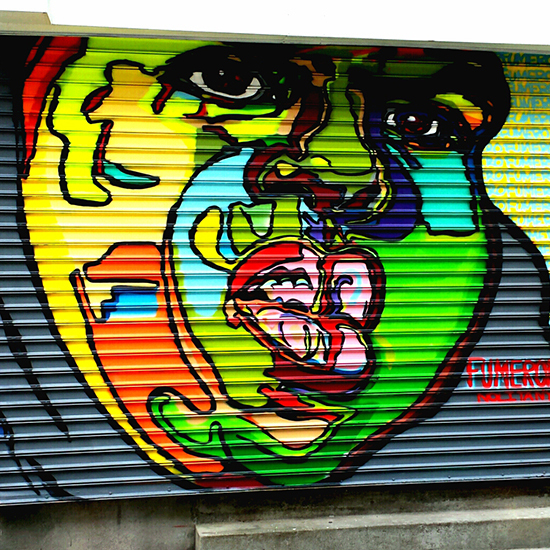 Fumero’s latest mural honors the late Notorious B.I.G., which the artist painted for the 18th anniversary of Biggie’s death on March 9. You can find Fumero’s work outside The Musket Room until 6 p.m. each night until Lambert opens the gate to show off his beautiful New Zealand-inspired plates inside. You can find more of Fumero’s work all over New York City and via his Instagram, @Fumeroism.